Portage Volunteer Fire Company provides fire protection, quick response and rescue service to residents of three townships in Cambria county. The Portage Volunteer Fire Company project kick started in 1972 and gets volunteers firefighters to aid in emergency services. The company caters to Cassandra Borough, Portage Borough and Portage Township and also offers mutual aid to companies located in other counties, namely Cambria, Blair, and Bedford. Emergency services provided by the Volunteer Fire Company include fire prevention and suppression, response to hazardous materials, emergency medical aid and technical rescue, inspections of business, residential and commercial site and reviewing building plans. Portage Volunteer Fire Company also provides station tours for schools and community groups. It has three fire stations operating 24 hours a day, seven days a week and is staffed by a cadre of well trained, volunteer firefighters. Though a small volunteer firm, the company wanted to improve their response time to emergencies or calls. They used Samsung tablets attached to their firetruck dashboards to provide responders with requests and updates for calls coming in. The tablets are equipped with ROVER Mobile app that offers access to the fire department’s alarms, responders details and mapping data. These tablets enable the service providers to answer calls faster and get critical data in real time for better response preparation. In the US, every year approximately 240 million calls are made to emergency services. With advancing technology, emergency service providers are now able to access vital data right on the spot. In many cases, this has proved to be significant for making quick decisions. The mobility and connectivity features of tablets have led to large scale adoption by emergency managers. They are used for everything, from taking notes, assigning jobs and updating information to sending warnings from the field. One of the biggest challenges the company faced was the misuse of tablets. As the devices were the vital link between the calls and responders, it was important to ensure that there were no distractions during time of duty and the tablets were utilized for defined purpose only. Also, the company was trying to avoid large data bills due to unchecked browsing of unrelated sites on the tablets. They wanted to make sure that the tablets were used to access only the official ROVER mobile app and other necessary application for work purpose, while keeping data consuming sites like social media apps out of reach. Another criteria for the fire company was that the GPS function on the tablets is ‘always on’. This was necessary for units to calculate and respond to emergencies real time. Portage Volunteer Fire Company wanted a lockdown solution that would help them secure the tablets with whitelisted applications and deny access to system settings. 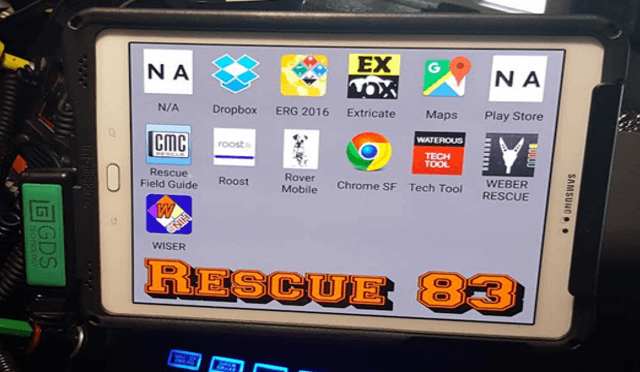 As a volunteer search, rescue and fire protection organization, Portage Volunteer Fire Company made use of Android tablets fixed on fire truck and emergency vehicles to stay updated on fire and other emergencies. It required a simple android tablet lockdown solution to secure the devices for dedicated business use, to improve response time and reduce unrelated data consumption. The easy lockdown functionality of SureLock offered by 42Gears has allowed the company to ensure that their devices in firetruck emergency vehicles are used only for business-specific purpose. The company is able to reduce data consumption from unrelated browsing and ensure that devices are used to access business related apps only. The fire company was on the lookout for a kiosk lockdown solution that would allow only ‘approved’ applications such as Rover app to show on their business-use tablets. 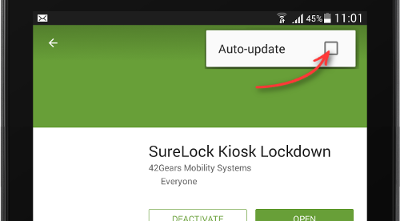 After some market research, they reached out to 42Gears as they were keen to try SureLock. The solution not only helped them run their tablets with whitelisted applications, they were also able to ensure that device system settings couldn’t be accessed. The user-friendly interface of SureLock ensured a strict lockdown on company tablets and helped service providers concentrate better on their jobs. The implementation was first conducted on one device and once the necessary configuration was completed, it was pushed to all other devices through import/export option in roughly one day. With SureLock locking down the tablets, the emergency responders are easily able to access the Rover app to stay updated on alarms, notifications and critical data. Users can only see the allowed applications. 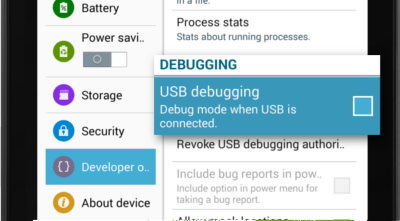 Users are prevented from accidentally accessing or changing device settings, ensuring that the necessary functions like active GPS aren’t disturbed. This also helped to reduce the number of devices malfunctioning and save on the replacement cost of $400 per device. Portage Volunteer Fire Company was able to reduce their data consumption by almost 2 to 3 GB per device, effectively lowering their Internet bills. The company was able to keep some apps locked but not hidden in order to provide different access levels as per their employee hierarchy structure. They were also able to implement a timeout feature using SureLock, which opened the company’s default Rover app if the device stayed idle for a specified period. Portage Volunteer Fire Company aimed to provide improved and quicker services to the townships they catered. With the help of 42Gears, the company was able to secure and lockdown their tablets to get them business ready and improve productivity. Captain Andrews Meyers said “42Gears has helped the Portage Volunteer Fire Company by allowing for a focused use of technology to increase response times and streamline preplans in emergency situations. The product is incredibly easy to setup and maintain. The settings are sensibly grouped and clearly labeled, allowing for easy access to discover the wide array of features.” Quick and responsive service from 42Gears ensured that the company was able to achieve their goals while keeping a check on hardware and data costs.